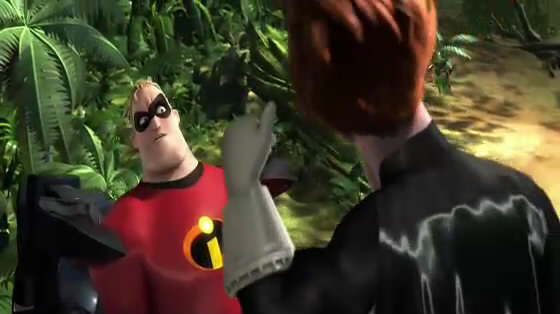 Quotes from The Incredibles with Mr. 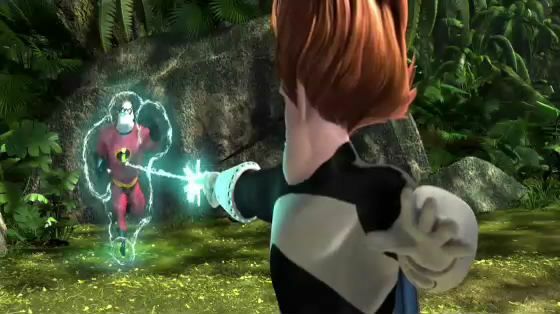 Incredible, Syndrome, and snapshot pictures. MR. INCREDIBLE: Hmm. 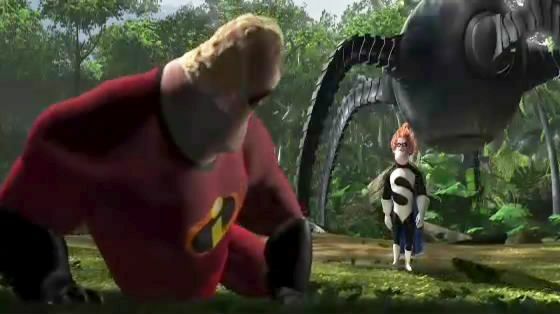 SYNDROME: It's bigger! It's badder! Ladies and gentlemen, it's too much for Mr. Incredible! It's finally ready. You know, I went through quite a few supers to get it worthy to fight you, but, man, it wasn't good enough! After you trashed the last one, I had to make some major modifications. Sure it was difficult, but you are worth it. I mean, after all, I am your biggest fan. MR. INCREDIBLE: Buddy? 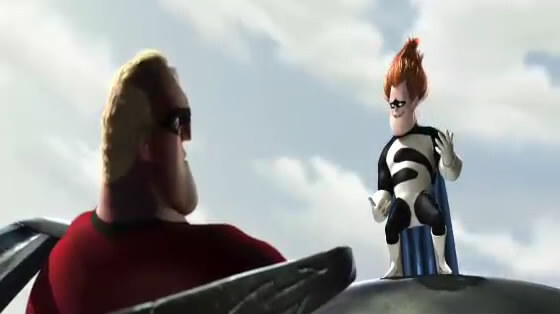 SYNDROME: My name is not Buddy! 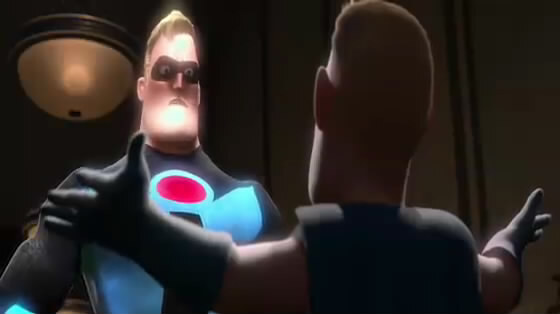 And it's not IncrediBoy either! That ship has sailed. All I wanted was to help you. I only wanted to help! And what did you say to me? MR. INCREDIBLE: Fly home Buddy, I work alone. SYNDROME: It tore me apart. But I learned an important lesson. You can't count on anyone. Especially your heroes. MR. INCREDIBLE: I was wrong to treat you that way. I'm sorry. 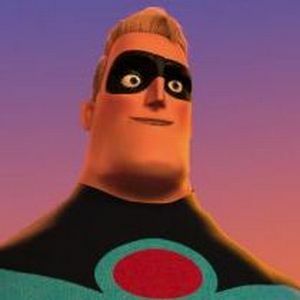 SYNDROME: See? Now you respect me, because I'm a threat. That's the way it works. There's a lot of people, whole countries who want respect. And they will pay through the nose to get it. How do you think I got rich? I invented weapons. Now I have a weapon only I can defeat. And when I unleash it, I'll get... You sly dog! You got me monologuing. I can't believe it. It's cool, huh? Zero-point energy. I save the best inventions for myself. Am I good enough now? Who's super now? 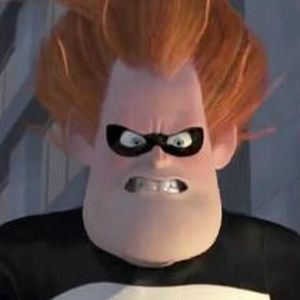 I'm Syndrome! Your Nemesis and... Oh, brilliant! All right, try this one on for size, big boy.